UFRC Spring Meeting – “The Ulster Way – Which Way Now?”. The verdict of those who were present at the UFRC Spring meeting at Oxford Island on Saturday 18 April was that it was very worthwhile. Around 40 people attended and they were treated to presentations from Committee members Ronnie Irvine and David Flinn, from Harry Goodman who walked the entire Ulster Way during the 1990s and from Niall McAleenan of the NI Environment Agency. The meeting finished with small groups discussing particular aspects of the Ulster Way and a general feedback session. We have summarised below the key points to emerge from this discussion and we welcome further observations and suggestions from members who could not attend the meeting. Our meeting was held against a backdrop of Departmental budget cuts and a real threat to the existence of the Ulster Way and Waymarked Ways long distance routes. At the time of writing Outdoor Recreation NI stands to lose all of its funding from the Department of Environment from the end of June. Among other things ORNI provides insurance cover to landowners along these routes which will be withdrawn unless the Department reverses its position on funding. In the absence of insurance some landowners may decide to close sections of these routes rather than risk a costly court case arising from an injury to a walker. We have written to Minister Durkan on this issue and eagerly await his reply. The brand “Ulster Way” is well known and worth keeping. In terms of scenery it includes some stretches of off-road walking that would rival any other long distance route in Britain or Ireland. The UFRC should initiate a concerted campaign to make sure it does not deteriorate through neglect and to give it a new lease of life. The Ulster Way Advisory Committee (which last met in 2012) should be re-established and should involve all eleven new councils. This group should serve as a champion for the Ulster Way. Recognising that very few people would be attracted to walk the entire route, the Ulster Way should be promoted in four or five distinct sections. These sections would embrace all of Northern Ireland’s Areas of Outstanding Natural Beauty but it would be for the new Advisory Committee to determine their extent. Priorities for additional off-road walking should be within these high quality sections. For example, between Larrybane and Ballycastle on the North Coast, in the Glenelly Valley in the Sperrins and on the Belfast Hills. Voluntary wardens carry out regular audits of the route as a requirement of the insurance cover and to ensure it remains in good condition. New wardens should be recruited from amongst UFRC members and better links established between the new councils and local rambling clubs. Long distance walking routes have proved to be major tourist attractions throughout Europe. Recognising the potential of the Ulster Way in this regard, we should establish a dialogue with Tourism NI, its parent Department in the NI Executive and with Minister Arlene Foster. Our next steps will be to inform both the Minister for the Environment and the Assembly’s Environment Committee of the outcome of our meeting and press for an early meeting of the Advisory Committee. Hopefully we will see some progress by the time of our AGM in October and we can report back to our members. We very much welcome further representation and reporting on the Ulster Way from our clubs and members in this ongoing engagement. 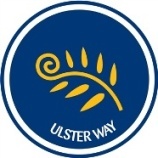 The UFRC will focus on the Ulster Way at its Spring Meeting which will be on the morning of Saturday 18 April 2015 at the Lough Neagh Discovery Centre, Oxford Island. The meeting will open at 10:00am with tea/coffee and will finish with a sandwich lunch served no later than 1.00pm. A number of resolutions at the last AGM in October reflected a frustration amongst our members that the Ulster Way remains an unfinished product and one which is not fulfilling its potential to satisfy off-road long distance walkers or to boost walking tourism in the North of Ireland. A number of initiatives and lobbying have already taken place but we now seek to take the matter a step further. We are developing a PowerPoint presentation which will give the background and history of the long distance route and highlight its potential for improvement. We will also learn from a member’s recent walking experiences on the Ulster Way. Now a regular Spring Meeting attendee, Niall Mc Aleenan from NI Environment Agency has agreed to come and give an overview of what has happened since the re-launch of the Ulster Way in 2009. He will also give NIEA’s view on the future of the route taking into account expected budget cuts in the Department of Environment. Although this will be an enjoyable get together, as always we do not want this to be solely a discussion that takes us nowhere. Our intention is that the meeting will inform and develop our thinking on the future of long distance walking in Northern Ireland and help build the UFRC campaign to “re-boot” the Ulster Way. I know it is a busy time of the year for rambling clubs but a good turnout would be much appreciated. It would be especially good if we had at least one representative from each of our affiliated clubs to give us the widest range of contributions.